Cash Rating £6,000 / Valuables £60,000There are 5 products. 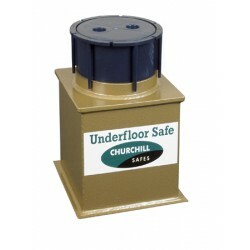 Churchill Vector V2 Underfloor Safe comes with a double bitted key locking mechanism and a Cash Rating of £6,000 / Valuables cover of £60,000. 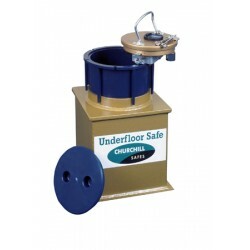 Churchill Vector V3 Underfloor Safe comes with a double bitted key locking mechanism and a Cash Rating of £6,000 / Valuables cover of £60,000. 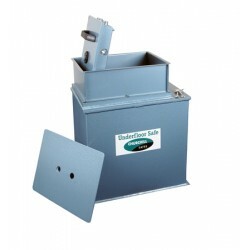 Churchill Vector V4 Deposit Underfloor Safe comes with a double bitted key locking mechanism with a built in deposit shoot and a Cash Rating of £6,000 / Valuables cover of £60,000. 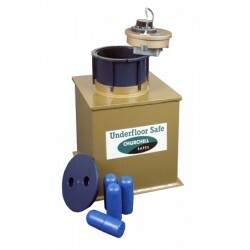 Churchill Bulldog CBS11 Underfloor Safe comes with a double bitted key locking mechanism and a Cash Rating of £6,000 / Valuables cover of £60,000. 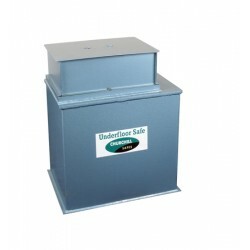 Churchill Bulldog CBS12 Underfloor Safe comes with a double bitted key locking mechanism and a Cash Rating of £6,000 / Valuables cover of £60,000.